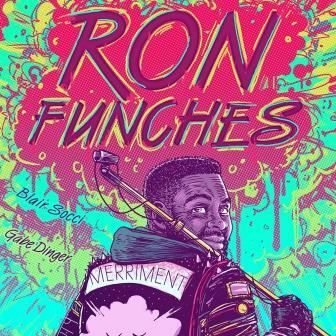 Ron Funches is a triple threat. He is an excellent stand up comedian, actor and writer. Ron has built an impressive acting resume. Whether it's lending his voice to projects like Trolls, Bob's Burgers, and Adventure Time. Or his memorable acting roles on The Goldbergs, Black•ish, New Girl, Transparent, Powerless, and Undateable. He even made being a gang member likable in the film Get Hard. His personal appearances include Conan, The Tonight Show, @midnight, Chopped, Cupcake Wars and many more. Ron is a great writer too. His writing credits include The Eric Andre Show, Kroll Show and several television pilots. He currently has a one hour comedy special on Comedy Central. Ron is also a pretty solid dad and friend. He lives in Southern California with his son.